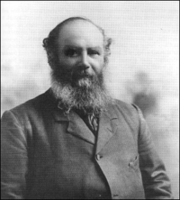 Coaker, Sir William Ford, clerk, businessman, farmer, office holder, editor, labour leader, and politician; b. 19 Oct. 1871 in St John’s, fifth eldest of the surviving three sons and four daughters of William Coaker and Elizabeth E. Ford; m. 17 Dec. 1901 Leah Jessie Crosbie Cook (1871–1947) in Fogo, Nfld, and they had one daughter; d. 26 Oct. 1938 in Boston, Mass. His was a reactive and pragmatic personality. He had a trusting disposition, but if slighted, he warned (in the first person plural that was often his style), “we are composed of material that must offend some.… Treat us right and, right we will treat you, but treat us wrong and take what comes.” He was, wrote a Canadian journalist in 1920, a “thick-set man, unusually broad in the shoulders and torso, long armed and big fisted.” “His eyes express the man.… There is no staring Coaker down. He has no past and no secrets that shun the inquisitor’s scrutiny.” In maturity Coaker was five feet, ten inches in height, with brown eyes and brown hair, a dark complexion, and a broad face. He trained in St John’s as a commercial clerk in 1885 and then became an assistant storekeeper for McDougall and Templeton, an import-export firm. Three years later the company sent him to Herring Neck, a small fishing community on the northeast coast of Notre Dame Bay, to manage their lobster-canning business in the area. By 1893 he had bought the enterprise, and he ran it until 1895, when he abandoned the undertaking because of personal losses in the collapse of the island’s two commercial banks in December 1894 [see James Goodfellow*]. From 1895 he lived at a farm that he began to develop on an isolated, uninhabited, 25-acre island near Herring Neck. Writing to his parents on 20 Jan. 1894, he had observed that “I like the woods, I think it was made for me and I for it.” The farm, he thought, could sustain a flock of 500 sheep and be operational within three years. His mother’s death that month dampened his optimism. He “felt her presence,” he said, on the evening she died, an experience that may help explain his later strong interest in spiritualism. Close to his mother, he was reticent with his father, who apparently did not understand his ambition and his quest for knowledge. Coaker was active in local politics and the area’s church, educational, and social life. At the time of the 1889 general election, which saw Sir Robert Thorburn* defeated and Whiteway returned to power as premier, he had spoken vociferously in favour of the Liberal candidate for nearby Twillingate. In 1895 he organized a petition from the Herring Neck region supporting Colonial Secretary Robert Bond*’s candidacy in a by-election in the same constituency and then lobbied Bond for a paid government post, since his finances were not, as he noted, very sound. By this time Coaker had spent about $2,000 on his farm. Because of his loyalty to Bond, he said, he had enemies in the area, and they had “worked with the object of doing all the harm possible to me,” which, he claimed disingenuously, was the cause of his “having to withdraw from trade.” In February 1897 he received a position as telegraph operator and postmaster at Herring Neck. He had also been made chair of the government-appointed Herring Neck Road Board, and his determination to provide much-needed employment soon landed him in difficulties. In April 1897 opponents alleged that he had used funds meant for the roads to pay individuals who had laboured solely for his own benefit. The government established an inquiry under St John’s magistrate Daniel Woodley Prowse*, who acquitted Coaker and his fellow board members similarly charged with fraud and malversation. Prowse found, he told Bond, that the complaint against Coaker had arisen “from personal and political ill feeling towards him and not from any regard for the public service.” The election of a Conservative administration led by Sir James Spearman Winter* later in 1897 saw Coaker and other Liberals lose their public offices to government supporters. During the winter of 1899–1900 Coaker worked in Danville, Que., studying sheep-raising techniques on a farm owned by James Naismith Greenshields. After returning in 1900 to his remote island, which he called Coakerville, he had the future husband of one of his sisters living with him; the couple married the following year. Reportedly to provide a companion for his sister, on 17 Dec. 1901 he himself married, exchanging vows with Jessie Cook, whom he had known from childhood. “We were never intended for each other,” he would later write, citing their “incompatibility of temper.” His sister died in childbirth on 2 Sept. 1902, leaving his wife discontented with the loneliness of life at Coakerville. Coaker was transferred to Port Blandford, in nearby Bonavista Bay, in April 1903 to run the post and telegraph offices there and to be subcollector of customs. Unhappy with the working and living conditions of telegraphers, he began secretly canvassing both those employed on the trans-island railway by the Reid Newfoundland Company [see Sir Robert Gillespie Reid*; Sir William Duff Reid*] and the postal operators in the government service. Signing himself Promoter, he sent a circular in July asking these workers to join a proposed union. Promoter informed the press in August that the organization had been established but that the names of its officers would not be revealed out of fear that Reid Newfoundland would dismiss those railway telegraphers who had signed up. Coaker farmed, helped to establish local branches of the Orange order throughout Notre Dame Bay, conspired with Morison to upset Bond at the next general election, and brooded over the lot of fishermen, or “Toilers of the Sea” as he called them, while planning the establishment of a union on their behalf. He also sought another newspaper to edit. As Morison acknowledged in 1906, Coaker’s temperament was such that he believed nothing was being done politically “unless you are fighting somebody or exerting yourself in some direction to the full measure of your strength.” That year Morison joined with the Reids in ousting Alfred Bishop Morine*, the only one of the United Opposition leaders to have been elected in 1904 but, according to Morison, the “greatest obstacle to party unity.” Opposition ranks received a further boost in July 1907 with the resignation from Bond’s cabinet of the St John’s populist politician and the premier’s rival Sir Edward Patrick Morris. In March 1908 Morris formed the People’s Party, which Morison joined and which Coaker supported in the inconclusive general election that followed later in the year. Coaker would come to regard the early 1900s at Coakerville as one of the happiest periods he had ever known. Winter evenings and “stormy Sundays” provided “leisure for reading and study and whatever I worked at I always found myself drifting away to thoughts of the toilers’ life and its hardships.” During the winter of 1906–7 he had put the finishing touches to the constitution of a possible organization for fishermen. “What the union’s constitution contained in 1908 was,” he later wrote, “original thought based on life experience and close observation.” He discussed it with several friends in the area. Despite being an active Orangeman, Coaker had among his intimates a number of Roman Catholics, including the parish priest for Tilting on nearby Fogo Island, William Patrick Finn, who approved of his draft constitution. In general, however, the Roman Catholic Church frowned on unions as secret societies inimical to its authority. Coaker would immediately face vigorous opposition to his ambitions from Archbishop Michael Francis Howley* of St John’s. He kept his proposed movement politically neutral by waiting until the night of the general election of 2 Nov. 1908 to call a public meeting at Herring Neck. A second meeting was held the following evening and 19 fishermen stepped forward to join the Fishermen’s Protective Union of Newfoundland (FPU). Among them were some of Coaker’s staunchest friends from the area, and the FPU would continue to build upon the social and political contacts he had already established on the northeast coast. The 1908 fishing season was a particularly favourable time to act because although there had been a good catch, prices were half of what they had been the previous year. As Coaker was beginning to forge a union of fishermen, his own personal union was collapsing. On 29 Oct. 1908 his sister-in-law Eliza Ann Strong charged in a St John’s court that he “did, on several occasions during the past six months, unlawfully assault, beat and ill-treat the complainant’s sister.” Before the opening of the case, Coaker and his wife drew up a separation agreement; Jessie wanted support only for their daughter, Camilla Gertrude. He would later state that, although his marriage had been “a living hell” – “very few men endured more at the hands of a wife” – the six months prior to the charge had been peaceful ones. “Had the case come before the Court, and we were given justice,” he continued, “we could have shown that we were not to blame in the matter.” His daughter subsequently acknowledged to him that she did not consider him completely responsible for the marital break-up. Subsequent growth of the FPU was phenomenal: by early 1916 the union would have 250 local councils with 22,000 members in a non-sectarian but predominantly Protestant movement based primarily on the northeast coast and in Conception Bay. Men from these areas were in the habit of banding together, with most participating in the spring seal hunt, fishing on the Labrador coast in summer, and logging the woods in winter. Before 1914 the FPU had some limited success in the St John’s area and the southern parts of Newfoundland as well, but in these places a similar working experience was unknown and the influence of the Catholic hierarchy, still hostile to the union in spite of Coaker’s attempts to appease it, was strong. Coaker’s main objectives for fishermen were to get better prices for their catches and to make them more independent: “To each his own” was the FPU’s motto. Above all, he wanted to eliminate the exploitative truck system, whereby fishermen obtained their supplies from merchants on credit against future sales. The union thus began setting up cash stores in the outports. To meet the needs of these stores for cheaper provisions and fishery equipment, in 1911 the FPU incorporated the Fishermen’s Union Trading Company (commonly known as the Union Trading Company, or UTC) to buy in bulk; Coaker was its president and general manager. The firm began operations in May 1912, using rented premises in St John’s. Funds were raised by selling shares to union members at $10 apiece, floating company bonds, and encouraging union members to deposit their money with the UTC for investment purposes. It was to have great success: by November 1923 it would boast 48 stores and a turnover of some $5,000,000. In March 1914 Coaker visited the seal fishery to study the circumstances of the men engaged in it. He was at the ice when at least 77 crew members from the Newfoundland perished in a snowstorm and one died after being rescued [see George Tuff]. The vessel’s captain was Westbury Bethel Bullen Kean; Kean’s father, Abram*, a well-known sealing master who had been hostile to Coaker since the FPU’s formation, was also implicated in the catastrophe. Returning to St John’s, Coaker immediately condemned the Keans in the Advocate, calling for criminal charges against them. Abram Kean then took Coaker to court over alleged libellous statements. In early 1915 a commission under Sir William Henry Horwood* investigated this and another sealing disaster; two of the three Supreme Court judges who conducted the inquiry found the senior Kean to blame. No action was taken against him, however, which left Coaker outraged. After Britain’s declaration of war on Germany on 4 Aug. 1914, the Morris government had undertaken to raise an infantry regiment of 500 men and to increase the complement of the Royal Naval Reserve from 500 to 1,000. A staunch supporter of Newfoundland’s participation in the conflict, Coaker was nevertheless reluctant to endorse the mobilization of a land force. His opposition stemmed in part from his fear that, should disaster befall a national unit (as it was to do), the losses in such a small country would be felt for many years; he preferred that local recruits be scattered throughout the regiments of the British army. He also deemed a land force too costly and thought that Newfoundland should instead encourage its men to enlist in the navy (a service for which Britain would pay much of the cost), offering to join up himself if enough union members did not volunteer. He disagreed as well with Morris’s decision to have the war effort directed by the Patriotic Association of Newfoundland, a non-partisan committee of prominent civilians chaired by the governor, a man he did not trust. By 1916 Coaker had turned his mind more to the war effort; his active support of it made him one of Newfoundland’s most popular politicians, with the result that the FPU could expect to emerge from the next general election, scheduled by law for 1917, wielding even greater political power. After J. M. Kent accepted an appointment to the Supreme Court early in 1916, William Frederick Lloyd took over as Liberal leader. On 24 March 1916 Coaker merged his Union Party with the Liberals, forming the Liberal-Union Party, with Lloyd as its head though the FPU was the dominant influence within it. As 1916 drew to a close, Coaker confidently looked forward to the new party winning the upcoming general election. Morris, however, obtained imperial authority to delay the contest until 1918, and in July 1917, in the face of worsening economic problems, he formed the coalition National government. Appointed minister without portfolio, Coaker became one of the cabinet’s most important members; Unionists John Glover Stone and William Wesley Halfyard* respectively took on the departments of marine and fisheries and agriculture and mines. The sea was Newfoundland’s lifeline and the war posed a critical threat to the island’s trade. Particularly damaging was the shortage of tonnage. The coalition dealt successfully with this problem [see Sir John Chalker Crosbie] and also with the pressing manpower needs of the Royal Newfoundland Regiment, whose ranks had been decimated in battle, especially at Beaumont-Hamel (Beaumont), France, on 1 July 1916 [see Owen William Steele*]. Since response to recruitment was indifferent in the outports, in 1918 the government, led by Lloyd after Morris’s resignation in late 1917, resolved to impose conscription, a decision that Coaker supported but one that was highly, if briefly, unpopular with the FPU rank and file. Coaker might have become prime minister instead of Lloyd, but he chose not to add to the burdens he already shouldered as cabinet minister, president of the FPU, and general manager of its trading company. In 1914 and 1915 Coaker had enquired about purchasing property in St John’s for both the FPU’s main offices and the UTC, but he found nobody willing to accommodate him. The need for more space, a desire to reduce overhead, and his view that union business was best conducted away from the capital (where, he had come to believe, the courts were prejudiced against him) led him to seek another venue. In 1916 the UTC began construction of a new headquarters and associated commercial buildings at the well-protected northeast harbour of Catalina, in the midst of the FPU’s stronghold. The settlement would be called Port Union. The union’s operations now included, in addition to the UTC and the UEC, the Union Publishing Company, the Union Shipbuilding Company, and the Union Electric Light and Power Company. Merchants had shown little interest in buying shares in the UEC. Coaker had hoped that Hickman, a personal friend who had done substantial business with the FPU, would invest in the company and manage it but, instead, he established his own export firm in 1917. The following year Coaker turned to his cabinet colleague J. C. Crosbie and Crosbie’s English broker to sell fish directly abroad rather than deal exclusively with city exporters. Since the market value of codfish was nearly three times higher than in 1914, the war having disrupted competition from Iceland and Norway, it was a profitable time for exporters. In August, fearing that this situation might soon change, Coaker tried in vain to have the government guarantee the price paid to fishermen, but both Crosbie and the minister of finance and customs, Sir Michael Patrick Cashin*, strongly resisted, arguing – correctly, as it turned out – that rates higher than Coaker’s proposed ceiling could be obtained. The costs of constructing Port Union, combined with the UTC’s purchase of $150,000 in flour (the price of which was also high), caused difficulties with the company’s banker, the Bank of Nova Scotia. In the spring of 1918 some St John’s merchants had tried to exploit the UTC’s short-term cash-flow problem by requiring prompt payment on debts owed them. Opponents also attempted, unsuccessfully, to encourage union members to withdraw their deposit investments from the company. Coaker appointed Ellison Collishaw, a Nova Scotia-born businessman who would long remain a close friend and supporter, as his financial adviser in the capital for that year. Collishaw persuaded several merchants, including Cashin, to back a temporary note for $80,000 that satisfied the bank’s immediate demands. By late 1918 the trading company had repaid this note through the sale of recently constructed vessels, the issue of new shares to union members (who took their dividends in shares instead of cash), and the increased business of the company. A greater threat to the UTC, and to the fish trade generally, emerged in Italy with the formation in September 1918 of a government-encouraged importers’ combine, the Consorzio. The Consorzio was set up to regulate the purchase of fish because the Italians were upset by recent high prices. Having had the Italian markets to themselves because of war conditions, Newfoundland exporters had profiteered although their fish had often been of poor quality. At the UTC’s request and expense, Coaker made his first trip to Europe in January 1919. He returned two months later, having realized that the price of fish was determined by the markets and not by the Newfoundland merchants (as he had previously believed). He had also been appalled by the consignment method of selling fish, whereby exporters placed their unsold product with European agents for an advance against sales, an arrangement which, in his view, favoured the buyers over the shippers. He met with officials of the Consorzio in Genoa and negotiated a plan to introduce outright sales; an Italian company would act as the import agent for all Newfoundland fish if the combine’s mandate was not renewed in 1919. However, the Consorzio’s success in lowering prices led the Italian government to extend its life into 1920. After his return to Newfoundland in March, Coaker soon found himself outside government: on 20 May Cashin engineered a no-confidence vote in the Lloyd government that led to its defeat. Cashin formed a new ministry two days later and left Coaker’s Unionists, except for “Traitor John” Stone, in opposition. Coaker’s continued association with London brokers in 1919 had had mixed results; after some losses, he began to feel that the UTC’s business had not been looked after properly. He became interested in mid September in a scheme devised by the Spanish-based English agent George Hawes to coordinate the marketing of all fish exports from Newfoundland to Europe. In September and October Coaker successfully used Hawes to sell union fish in Spain and Italy. On 2 October Hawes drew up a contract for interested exporters, which specified that he would provide his clients with timely information on market conditions, settle any disputes arising from sales, and receive a three per cent commission on the price of fish sold either outright or by consignment. Later that month he persuaded the Consorzio to give up its demand to withhold 25 per cent of the value of the exports as security against losses resulting from poor fish shipped at a prearranged purchase price; instead, it agreed to pay full cash in London without any guarantee as to quality, terms more acceptable to the Newfoundland trade. Hawes’s effort fell apart when exporter William Azariah Munn, who was in the midst of a court case against him, sold a cargo of fish for Earle Sons and Company of Fogo at a lower price but on the same terms that Hawes had worked out. Coaker’s regulations effectively put in place the means for Hawes to implement his plan. On 15 Jan. 1920 Hawes concluded an agreement to sell 150,000 quintals of fish to the Consorzio. The price was satisfactory, though lower than what the combine had offered the previous year, and the deal included improved terms of sale. By this time six major exporters had opted to make Hawes their sole broker not just in Italy, but also in Greece, Spain, and Portugal, Newfoundland’s main European markets. A number of important exporters, Crosbie among them, remained outside the Hawes group and used their own brokers in London for sales outside Italy. Other large fish merchants, such as Hickman, who depended on Canadian banks to finance their transactions (as did Coaker), preferred to make their own deals with the Consorzio rather than consign to Hawes and pay interest on their bank credit while waiting for their returns from him. The fish regulations also met with stiff opposition from small exporters who, unwilling to join the Hawes group, shipped fish to Italy through New York firms because of the cheaper steamer service operating out of that city. One of them challenged the proclamation in the Supreme Court, which declared Coaker’s regulations ultra vires. The government then reissued them under the War Measures Act of 1914 until legislation could be passed. But resistance to the regulations grew. The arrangement that Hawes made with the Consorzio in January was undermined when Earle Sons and Company again sold fish to the combine at a lower rate than was specified, claiming the firm was unaware of the agreement. A conference held by the Newfoundland Board of Trade in early February 1920 extensively debated Coaker’s regulations. Some merchants voiced their unhappiness that Hawes had been made the sole agent for Italy. Overall, however, the board supported the minister’s actions but it called on the government to consult the trade on any changes to the regulations. Coaker was absent from this conference, having left Newfoundland on 15 January for a visit to markets in Italy, Spain, and Portugal. During this trip, from which he returned in the last week of March, he toured Hawes’s cold-storage facilities and left greatly impressed with the agent’s “wonderful organization,” which was “unsurpassed in Europe.” Hawes had several meetings with Coaker and began to have concerns about the Newfoundlander. In Spain, where he knew conditions well and where he sold largely on consignment, he pleaded with the minister to let the free market determine the price of fish since supply exceeded demand at the time, but Coaker refused. Hawes’s competitor in that country undercut the price Newfoundland was demanding with the result that the island’s exporters, including the UTC, lost substantially on their sales. Writing to Job on 26 March 1920, Hawes said he hoped to “avoid an open rupture” but was dismayed by Job’s view that “Coaker’s ambition to absolutely dictate” had gotten “the better of his common sense”; he also bemoaned the fact that Coaker would have the “power to wander through the European markets, making and revoking regulations from day to day, all of them of a comic opera nature.” When, in August, Hawes approached the Consorzio to sell fish for his St John’s exporters, he would note that he preferred “not to act with the [Newfoundland] Government during the coming season” because “there is no telling what Mr. Coaker will do from one moment to another.” Since late 1919 Hawes and several major Newfoundland merchants for whom he was agent, such as Job Brothers, Bowring Brothers, and Harvey and Company, had sought to manipulate Coaker to get comprehensive fishery reform under Hawes’s management, but the minister proved too difficult to manage. Legislation passed in May 1920 took account of the concerns expressed at the board of trade conference. The Cod Exportation Act provided for the appointment of an advisory board similar to the one established in 1919 to implement Coaker’s regulations; this time, however, the board would seek government approval for the terms it drew up for the export of fish (including outright sales), the granting or cancellation of export licences, and the amount of fish that would be going to market. The act provided for the minister of marine and fisheries to convene, in the first week of September annually, a meeting of all exporters to discuss with the board any trade-related matters for the coming year. The Fish Standardization Act was also passed, to regulate the methods of preparing and shipping fish. On 13 September Coaker issued new rules; henceforward exporters could use whichever broker or agent they wished to sell their product in all markets. In Italy, where a trade commissioner was appointed to handle any claims that might arise on fish deals, they could sell through the Department of Marine and Fisheries, Hawes’s company, or a broker of their choosing. All sales had to be outright transactions. The Consorzio remained steadfast in its determination to buy fish only on its terms, and in late September it informed the Newfoundland government that it wished to have no further business with the island. Coaker then changed course, asking Hawes, who was friendly with the president of the Consorzio, to try to re-establish himself as the exclusive agent for Newfoundland fish in Italy. Hawes’s efforts were interrupted by illness in early December and the Newfoundland exporters appointed W. A. Munn, who was already in Europe, to go to Italy and negotiate instead. During these talks Hickman sold a cargo of fish to the Consorzio in contravention of the regulations. On 28 Dec. 1920 the exporters met and, with near unanimity, requested the government to lift the restrictions on the sale of fish to Italy, a measure the cabinet approved on 30 December. Coaker was not at the cabinet meeting because he had left two days earlier on what would become a three-month trip to England and Portugal. He tried to persuade his colleagues back in Newfoundland to reverse their decision, to no avail. He was concerned that the regulations continue to apply to Portugal, where he was in the midst of negotiating a deal with importers, but his efforts there failed and at the end of March the government cancelled the regulations affecting this country as well. During the 1921 legislative session the administration repealed the Codfish Exportation Act, with Coaker admitting during debate on 3 May that Crosbie knew Hawes “for what he was, but I did not.” By this time he had come to realize that Hawes was collaborating with local exporters to try to completely dominate Newfoundland’s fish trade to Europe. The Englishman’s large cold-storage plants enabled him to manipulate prices to his advantage, and his transactions on consignment had had serious effects on outright sales. Hawes’s facilities had been quietly supported financially by various Newfoundland export firms who favoured his plan. Union and government business had taken its toll on Coaker’s health. He wanted to resign as fisheries minister after the failure of his regulations and he spent much of the second half of 1922 at Port Union recovering from physical exhaustion. He remained in office, however, in order to push a new venture that had sparked his interest. The downturn in the economy, substantial out-migration, and the enormous cost of relief projects for those who had no work had made him particularly receptive to a proposal put forward by Henry Duff Reid of Reid Newfoundland for a new pulp and paper mill on the Humber River, which promised employment to supplement local reliance on the fishery. Throughout 1921 Coaker championed the Humber scheme in the cabinet and, in January 1922, over Squires’s objections, he backed a government guarantee for the project. The following month, however, the cabinet decided against financial assistance. Later in 1922 Reid made development of the mill subject to the administration’s unburdening his company entirely of ownership of the trans-island railway, whose difficulties had in 1920 placed it in the temporary control of a commission, chaired by Coaker, that included representatives of both the government and Reid Newfoundland. After Whitehall agreed to support the financing of the Humber enterprise, Squires finally endorsed the undertaking. In the summer of 1923 the legislature would both approve a deal whereby Newfoundland assumed ownership of the railway and pass enabling legislation for the Humber proposal to proceed with English backers. Once the Humber project was settled in cabinet, Coaker in early 1923 resigned his ministerial post. He nevertheless ran in Bonavista in the general election that May, when he and fellow FPU members defeated an opposition ticket led by Walter Stanley Monroe*. During the campaign he argued for the nationalization of fish exports to get rid of the Hawes “menace,” but Squires, who was returned as prime minister, was lukewarm to the proposal of government regulation through the establishment of a publicly funded commission. Following the election Coaker received good news when the announcement came that Squires’s recommendation of a knighthood for him had been accepted. When the FPU met later in the year, Coaker called the two oldest members to the stage and symbolically dubbed them, to recognize the contributions to society of the union as a whole. Within a month of the reopening of the house in June, a cabinet revolt against perceived corruption on the part of the prime minister forced Squires’s resignation and he was replaced by William Robertson Warren. Offered the top position, Coaker had refused but he joined the cabinet as a minister without portfolio. Warren had no time for fishery reforms since the country quickly became preoccupied with the commission he appointed to examine the accusations against Squires. In February 1924 Coaker appeared before the inquiry to explain his role in government contracts let out to ease unemployment. Its report in March exonerated him of any wrongdoing but largely upheld the charges against Squires. Defeated on a vote of no-confidence in April, Warren received a dissolution for an election to be held in June. In early May, in what one author has called an “absurd spectacle of political juggling,” he assembled a second cabinet, abandoning his Unionist colleagues, and then resigned five days later. On 10 May, after Coaker refused to form a government, Hickman cobbled together a ministry, composed mainly of those who supported Squires and Warren. Coaker, who seven days earlier had announced his intention to retire from political life, endorsed this Liberal-Progressive administration. Early the same year he had declared that at the next FPU convention, scheduled for late 1924, he would ask delegates to choose a new president, a person outside politics who could concentrate on union business. The union, he suggested, would no longer put forward candidates at elections but only support candidates sympathetic to its aims. Coaker resigned as FPU president on 6 Feb. 1926 and thereby separated the political and commercial activities of the union. He went on to build up an effective marketing organization in the UTC. To counter the Hawes group, which in 1923 had shipped nearly 47 per cent of all Newfoundland fish to Europe, Coaker developed his own method of doing business. He placed agents (including a senior Hawes executive whom he had hired away) in key centres in Italy, Spain, and Greece, while in the West Indies and Brazil he developed strong relationships with importers. To compete with Hawes in Greece, he constructed a cold-storage plant there in 1925 to hold unsold fish, and he offered fish on an outright-sales basis as well. The fishery remained plagued, however, by the lack of a uniform method of grading (no adequate administrative machinery had been put into place under the Fish Standardization Act) and by the absence of a system for pooling fish to markets. In December 1920 the UTC had approved the recapitalization of the business from $250,000 to $500,000. Since fishermen were unable or unwilling to invest the moneys needed, in 1921 the company mortgaged its Port Union assets to help with any future cash-flow problems. That year it issued 10-year debentures secured by trust deeds on these properties, with Collishaw appointed as trustee. In 1922 the company suspended the issue of annual dividends; revenues were committed first to interest payments on the mortgage bonds. In 1926 and 1927 creditors pressed the firm for immediate settlement of accounts because of poor demand for fish. The company received a line of credit from the Bank of Nova Scotia against its mortgaged assets. Relief came when Collishaw used his own investments to support any short-term borrowing up to $100,000 that the company might need from the bank. In 1931 the company and Collishaw remortgaged union assets and issued 20-year debentures at a lower interest rate. The mortgages would eventually be released to the UTC in 1951. 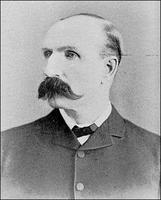 During his time in government Coaker had come to despair of parliamentary democracy in Newfoundland. At the FPU’s annual convention in 1925 he had called for its replacement by a commission of government consisting of nine elective representatives, free from “the animosities and bitterness of party strife,” who would serve for a 10-year period. His disillusionment was symptomatic of a general view that the country’s politicians were corrupt and reflected his nostalgia for the rule of the National government, when many of the more able politicians had put aside their partisan differences. His disappointment over the failure of his fishery reforms and his desire to rectify the situation drove his return to active politics and his alliance in the 1928 general election with the politically rehabilitated Squires. After running successfully in Bonavista East, he became a minister without portfolio in Squires’s cabinet, but for the first three months of each year he spent much of his time either at Port Union or in his newly purchased house in Kingston, Jamaica, where the warmer weather was better for the bronchitis and arthritis that had afflicted him for years. In 1930 he chaired a commission that recommended fishery reforms similar to those enacted in 1920; no provision was made for price controls, however, and full power was given to the exporters rather than the government. The commission’s report was not unanimous and the two bills it promoted were widely opposed and never presented to the House of Assembly. Legislation that followed in 1932 gave an exporters’ board authority to make needed changes on a strictly voluntary basis. Coaker did not run for the assembly that year, retiring from political life for good. Frederick Charles Munro Alderdice’s United Newfoundland Party won the general election of 1932; among the ideas it had put before the voters was an investigation of the advisability of introducing a commission of government. When in 1933 the British authorities established an inquiry into Newfoundland’s future financial prospects, the country being then near bankruptcy, Coaker distanced himself from the process and did not appear before the inquiry, but he strongly supported its recommendation that Newfoundland needed a respite from party-style democratic government. In 1934 Whitehall appointed a commission of six men, three from Britain and three from Newfoundland, with the governor as presiding chair, to run the country. It was not the elected body that Coaker had promoted, however, and he criticized its composition in the Advocate. Since exporters in 1932 had never acted on the legislation passed for fishery reform, it was left to the commission of government after 1934 to do so, with Hawes having a major role behind the scenes in influencing policy. On 23 March 1935 Coaker suffered his first stroke. By 1936 his right shoulder and arm and his left hand were paralysed. He last saw Newfoundland in 1937. The following year, on his way back to the island, a second stroke forced him to stay with his sister in Nova Scotia; returning to Jamaica in late October for the winter, he had another aboard ship. There was a “slight rally,” after which he told a friend “I may not die yet.” Recovery was only brief; on 26 October he succumbed at a Boston hospital. At the time of his death Coaker’s assets were estimated by the Newfoundland tax authorities to be worth $235,507.41, but his will, probated in November 1939, valued his estate at $178,359.25. The first assessment included about $81,180 in cash on deposit at a Halifax branch of the Royal Bank of Canada and over $121,000 in first-mortgage bonds in the UTC and the UEC. Some of the latter had been a bequest from Ellison Collishaw, who had died in June 1931. 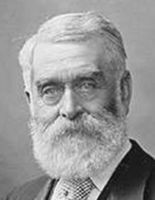 Part of Coaker’s wealth resulted from two shrewd private business decisions in the mid 1920s. In 1925 he had earned a $50,000 commission for helping the Brazilian government to raise an $8 million loan in England. He had also profited from the sale of shares in a bauxite mine in British Guiana, making $37,000 on shares he had bought for about $1,500 in 1921. The Newfoundland government contested the probate, asserting that Coaker’s tax returns for the years 1929–38 had falsely declared an annual income of approximately $3,000. Instead, his gross income for these years, it was maintained, was around $19,000 when the debenture income he received on the first-mortgage bonds was taken into account. The estate reached a compromise in December 1939: the government accepted $72,000 as full settlement of all claims and demands in respect of death duties, income tax, interest, and penalties. The government of Nova Scotia, where Coaker had assets in the Nova Scotia Trust Company as well as the Royal Bank, required a certified cheque for $24,156.10 to cover succession duties. With great passion and ambition, Coaker from 1908 had set out through the FPU to improve the political and economic well-being of fishermen, mainly by legislative means. Many of the measures he advocated were embraced by other segments of the local population, but Coaker’s marshalling of the proposals into a coherent message in the 1912 Bonavista Platform brought him wide acclaim and gave him the potential for reforming Newfoundland society. The sealing disasters of 1914 elicited his great indignation at the way the business community treated fishermen and sealers, and strengthened his determination not to make compromises with the Morris government over its handling of Newfoundland’s participation in World War I. The political and economic problems resulting from the war forced him in 1917 to become part of a coalition government at a time when his popularity was such that the Liberal-Union Party, in which the FPU was dominant, would have won the general election required by law to be held in that year. A leading member of the National government from 1917 to 1919, he helped provide Newfoundland with sound, non-partisan governance. The opportunity was there for him to become prime minister in 1918 (and it would come again in the 1920s) but he chose instead to continue to preside over the FPU and its commercial branch, the UTC. As an influential cabinet minister, Coaker allowed himself on occasion to be associated with decisions that were rejected by the FPU membership, such as conscription in 1918; in time his political principles would be seen to have been compromised for the greater good of the government. His association with the two Squires administrations also tarnished his reputation. Following the failure of his fishery regulations in 1921, largely due to his insistence on fixed prices in foreign markets, the optimism arising from the Bonavista Platform and the FPU’s direct involvement in elective politics gave way to disillusionment. After 1924 Coaker abandoned political life to concentrate wholly on the activities of the UTC, which he believed represented the best hope of assisting fishermen to get the highest price possible for their catches. He returned to the House of Assembly in 1928 solely to obtain legislative fishery reform, without demanding this time that the government try to regulate prices. Long disappointed that the business community was divided on this matter, Coaker had been convinced since 1925 that only a respite from active, partisan politics and the establishment of a commission of government would allow needed changes to be implemented. A democrat at heart, he was dismayed when Britain instituted an appointed commission in 1934, but ill health prevented him from strongly opposing the new constitutional arrangement. He died four years later. In his eulogy at Coaker’s funeral John Henry (Jack) Scammell, his successor as president of the FPU, observed that Coaker had “loved his loyal friends,” “served the country faithfully,” and always said “whatever you do, speak the truth.” He was buried in a memorial cemetery at Port Union that had been prepared for him earlier in the decade at Scammell’s suggestion. Coaker’s career evoked strong reaction from supporters and opponents alike. As journalist Albert Benjamin Perlin* observed, “Never have I known a man to stir up greater emotions on the one side or the other and to be so loved and hated at one and the same time and no man could be thus that had not the elements of greatness in him.” Writing on 8 May 1938 to his friend and executor, Aaron Bailey, the husband of one of his nieces, Coaker had said that “life” was “only for a short time.” “All I ask when I go [is that] they will try to bury me on the hill [above Port Union] and then let all who like to do so, to curse or condemn. It won’t hurt me.” Since his death, Coaker’s legacy has been much debated; his contribution is probably best summarized by a son of one of his close associates, who described him as both a “saint and a devil,” a manifestation of the intense feelings his name still arouses today. The political promise of the FPU remained unfulfilled during Coaker’s lifetime, but he and the union left an impressive legacy in the UTC, a trading company that, until the 1970s, was a formidable force in the commercial activities of Newfoundland and its salt-fish industry, and in the town of Port Union, the only union-built community in Canada. And, although Coaker’s fish regulations had failed in 1921, many of the reforms he sought to introduce would be adopted in the 50 years that followed. Coaker’s will specified that the Bungalow, his residence at Port Union which the FPU had constructed for him, be set aside for the use of Aaron Bailey and his wife while they lived and then turned into “a Public Museum in my memory.” As for his daughter’s financial support, “She will be looked after … by the Fishermen’s Union Trading Co. Ltd.” In 1995, after the deaths of Aaron and Ella Hester Bailey, the Coaker Bungalow Museum was opened as its former occupant had wanted. The author is grateful for genealogical information communicated to him on 24 Feb. 2000 by Jackie Ebsary and on 24 July 2000 by Ray Leaman. Sir William Ford Coaker is the author of Past, present and future: being a series of articles contributed to the “Fishermen’s Advocate,” 1932; together with notes of a trip to Greece 1932 ([Port Union, Nfld, 1932]). He is also the compiler of Twenty years of the Fishermen’s Protective Union of Newfoundland from 1909–1929 … (St John’s, 1930; repr. 1984). His account of his visit to the ice in 1914 has been edited by Melvin Baker and published as “President Coaker’s log of his trip to the ice floe last spring in S.S. Nascopie,” Newfoundland and Labrador Studies (St John’s), 25 (2010): 217–52. Other works by him are listed in Melvin Baker, “Select bibliography of Sir William Ford Coaker, the Fishermen’s Protective Union (FPU), and the Port Union-Catalina area”: www.ucs.mun.ca/~melbaker/fpubib.htm (consulted 5 May 2016). Halifax County Court of Probate (Halifax), Estate papers, no.12604. Memorial Univ. of Nfld (St John’s), DELTS Video Coll., pre-1994, “Josiah Kearley: founding of the FPU (Fishermen’s Protective Union)”: collections.mun.ca/cdm/singleitem/collection/extension/id/19/rec/2 (consulted 5 May 2016); Maritime Hist. Arch., Hawes and Company Limited fonds, box 4, files 1.03.003, 1.03.007, 1.03.012, 1.03.20; box 50, file 4.08.024; box 268, file 1.02.010; John Rorke & Sons Limited fonds, file 0.1.02.22; Queen Elizabeth II Library, Arch. and Special Coll., Coll-009, Coll-237, Coll-250, and MF-159. NA, CO 194/299. Port Union Hist. Museum, Sir W. F. Coaker, passport. RPA, Church of England/Anglican, St Mary’s parish, St John’s, Reg. of baptisms, box 1, 1859–1925; GN 1/1/7, file 1920; GN 1/3/A, dispatch 24, 3 Feb. 1915; GN 2/1/A, 76: 695; GN 9/15: 66–67; GN 13/1/B, box 265, file 5; MG 8.115; MG 73, box 11, file 11; MG 310, box 2, book 11. Sir William Ford Coaker Heritage Foundation Arch. (Port Union), files 98.05.682, 98.05.711, 98.16.360. Supreme Court of Nfld and Labrador, General Div. (St John’s), Estate papers, vol.10, f.42. J. M. Carberry, “A strike of forty years ago,” Evening Advocate (St John’s), 19 Dec. 1923. Daily Mail (St John’s), 7 Feb. 1914. Daily News (St John’s), 10 Aug., 7 Sept., 1 Oct. 1918; 30 Sept., 28 Nov. 1919; 30 Jan. 1920; 25 Nov. 1939. Evening Advocate, 22, 31 Dec. 1917; 8, 10 Aug. 1918; 23 Jan., 31 March, 12 April, 23, 28 May, 21, 28 Nov. 1919; 10, 12 Jan., 5, 6, 9, 10, 11 Feb., 24 Sept. 1920; 9, 17 May, 2 June 1923; 25 Feb., 1 March, 3 May, 1, 2, 7, 9, 11 Aug., 1 Sept., 15 Oct., 4 Nov. 1924. Evening Chronicle (St John’s), 14 May 1912. Evening Herald (St John’s), 22 Nov. 1897; 13 Oct., 22 Nov., 3 Dec. 1919; 15 Jan., 7 Feb., 1, 6, 7, 8, 9, 10, 11, 15, 16, 17, 18, 20 Dec. 1920. Evening Telegram (St John’s), 25 Jan. 1894; 7 Dec. 1897; 2 Feb., 23 April 1900; 22 Dec. 1917; 8, 9, 15 Jan. 1920; 24 Nov. 1939; 15 Feb. 1947. Fishermen’s Advocate (St John’s and Port Union), 11, 18 May 1912; 5, 12 Feb., 10 Sept., 15, 29 Oct., 5, 12 Nov. 1926; 7 April 1927; 7 Jan., 21 Oct., 11, 25 Nov. 1938. Free Press (St John’s), 8 April, 4 Aug. 1903; 7 Feb. 1905. Charles Granger, “Past, present and future: a popular history of the FPU,” Fishermen’s Advocate, 12 Dec. 1969: 2. Mail and Advocate (St John’s), 27 Feb., 6 March 1915; 30 Dec. 1916. Observer’s Weekly (St John’s), 1 Nov. 1938. St. John’s Daily Star, 14 Jan., 15 Nov. 1920. Twillingate Sun (Twillingate, Nfld), 5 Nov. 1938. David Alexander, The decay of trade: an economic history of the Newfoundland saltfish trade, 1935–1965 ([St John’s], 1977). Melvin Baker, “Challenging the ‘merchants’ domain’: William Coaker and the price of fish, 1908–1919,” Newfoundland and Labrador Studies, 29 (2014): 189–226; “Civilian and military power (Newfoundland)”: encyclopedia.1914-1918-online.net/article/civilian_and_military_power_newfoundland (consulted 30 Nov. 2016); “‘Coaker week,’ May 1912: the clash between Patrick McGrath and William Coaker,” Newfoundland Quarterly (St John’s), 107 (2014–15), no.1: 53–57; “Greenspond fishermen protest the Coaker fish regulations, November 1920,” Greenspond Letter (Greenspond, Nfld), 22, no.2 (spring 2015): 7–12; “Plaindealing and the Fishermen’s Protective Union, 1908–1910,” Newfoundland Quarterly, 105 (2012–13), no.4: 43–51; “Port Union,” in A Coaker anthology, ed. R. H. Cuff (St John’s, 1986), 103–14; “The struggle for influence and power: William Coaker, Abram Kean, and the Newfoundland sealing industry, 1908–1915,” Newfoundland and Labrador Studies, 28 (2013): 63–96; “Warfare 1914–1918 (Newfoundland)”: encyclopedia.1914-1918-online.net/article/warfare_1914-1918_newfoundland (consulted 30 Nov. 2016); “William Ford Coaker, the formative years, 1871–1908,” Newfoundland and Labrador Studies, 27 (2012): 225–66. R. M. Elliott, “Newfoundland politics in the 1920s: the genesis and significance of the Hollis Walker enquiry,” in Newfoundland in the nineteenth and twentieth centuries: essays in interpretation, ed. J. [K.] Hiller and P. [F.] Neary (Toronto, 1980), 181–204. John Feltham, “The development of the F.P.U. in Newfoundland (1908–1923)” (ma thesis, Memorial Univ. of Nfld, 1959). J. K. Hiller, “The politics of newsprint: the Newfoundland pulp and paper industry, 1915–1939,” Acadiensis, 19 (1989–90), no.2: 3–39. R. G. Hong, “‘An agency for the common weal’: the Newfoundland Board of Trade, 1909–1915” (ma thesis, Memorial Univ. of Nfld, 1998). Gene Long, Suspended state: Newfoundland before Canada (St John’s, 1999). I. D. H. McDonald, “The reformer Coaker: a brief biographical introduction,” in The book of Newfoundland, ed. J. R. Smallwood et al. (6v., St John’s, 1937–75), 6: 71–96; “To each his own”: William Coaker and the Fishermen’s Protective Union in Newfoundland politics, 1908–1925, ed. J. K. Hiller (St John’s, 1987), 54–56. P. [F.] Neary, Newfoundland in the North Atlantic world, 1929–1949 (Montreal and Kingston, Ont., 1988). Nfld, Commission of enquiry into the sealing disasters of 1914, Report (St John’s, ; available online at collections.mun.ca/cdm/ref/collection/cns/id/75876); Dept. of Marine and Fisheries, Rules and regulations made under the Codfish Exportation Act, also rules and regulations relating to the standardization of codfish, and including proceedings of the convention of licensed codfish exporters (St John’s, 1920); General Assembly, Proc. (St John’s), 1914: 324; 1921: 265–67. P. R. O’Brien, “The Newfoundland Patriotic Association: the administration of the war effort, 1914–1918” (ma thesis, Memorial Univ. of Nfld, 1981). Patrick O’Flaherty, Lost country: the rise and fall of Newfoundland, 1843–1933 (St John’s, 2005). Edward Roberts, “Nothing venture, nothing have: Mr. Coaker’s regulations” (ma thesis, Memorial Univ. of Nfld, 2006). J. R. Smallwood, “The parliament of the north: the Fishermen’s Protective Union in convention, 1921 and 1923,” ed. Melvin Baker, Newfoundland Quarterly, Christmas 2001: 2–9; The time has come to tell (St John’s, 1979). Melvin Baker, “COAKER, Sir WILLIAM FORD,” in Dictionary of Canadian Biography, vol. 16, University of Toronto/Université Laval, 2003–, accessed April 23, 2019, http://www.biographi.ca/en/bio/coaker_william_ford_16E.html.